Terra Dinarica is a NGO based out of Sarajevo in Bosnia and Herzegovina. Our aim is to help connect, protect, promote and sustainably develop the regions along the Via Dinarica* Trail. Our team has in depth knowledge and experience in nature conservancy, outdoor activities, eco-tourism development, travel writing, biology, and environmental activism. Via Dinarica is a platform that serves to promote and develop the local communities and small businesses active on local, national, and international level in the field of hospitality, service and tourism, as well as agriculture and cultural heritage. 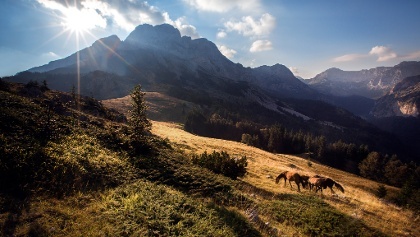 Its purpose is to connect the countries and communities of Dinaric Alps by creating a unique and diversified tourism offers.